Some of the best the Smokies has to offer! The Smoky Mountains are filled with everything you need to make your visit memorable. 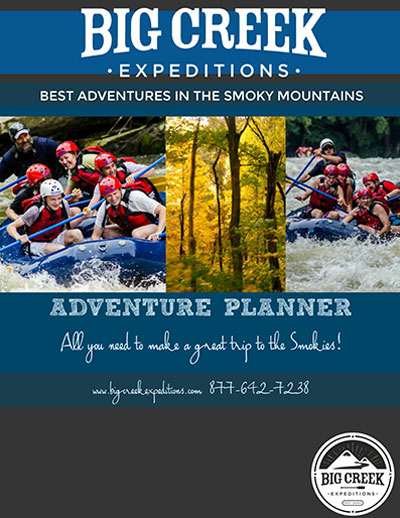 Whether staying in North Carolina, Tennessee, or beyond, we would like to provide you with all the information you need to plan around your rafting trip with Big Creek Expeditions, Inc. Follow the links to receive our recommendations on the best of what this area has to offer. "One of our families greatest adventures ever!!! Our guide was extremely knowledgeable and made us all feel like pros. We were nervous, but the guides explained everything very thoroughly. And with all the safety features we knew we were in good hands! The views were absolutely stunning! We highly highly recommend it to anyone!!" Looking for information on rafting with Big Creek Expeditions? Planning for a large group? Get your brochure and receive all the information you need to prepare for your rafting trip.